The online fashion retailer wants to focus more on being a shop window for others rather than buying and posting out stock itself. Shifting inventory and delivery costs to retailers mimics the strategy followed by Jeff Bezos’ behemoth and will boost operating margins. Goods of Zalando Operations, are seen during the company's annual shareholder meeting in Berlin, Germany May 31, 2017. 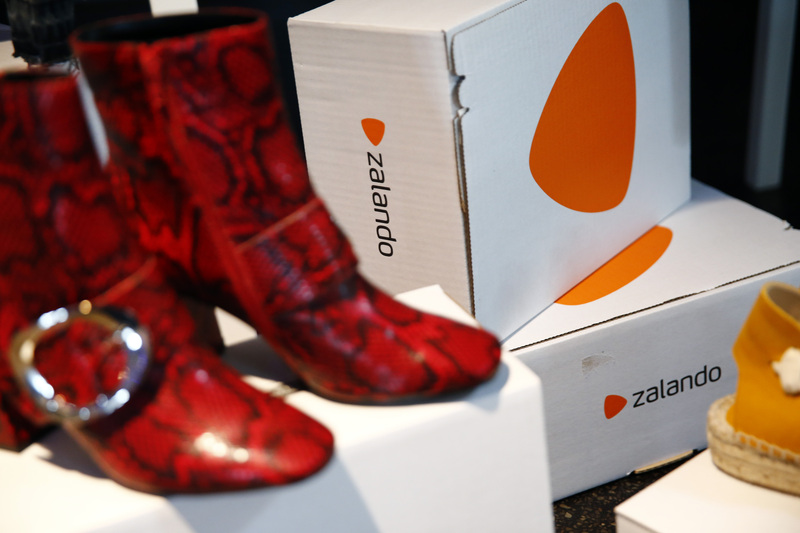 Zalando, Europe’s biggest online-only fashion retailer, said on Feb. 28 that it was encouraging more brands to sign up to a partnership programme that would offer logistics and marketing services. It said it wanted to boost the value of products sold on its site to 20 billion euros by 2024 at the latest, from 6.6 billion in 2018. The company reported sales of 1.7 billion euros in the fourth quarter of 2018, up 25 percent from a year earlier. Adjusted EBIT rose to 118 million euros from 113 million euros over the same period. Zalando shares were up 18.6 percent to 31.05 euros by 0940 GMT on Feb. 28.